Later during JC’s karate class I had a minute to flip through the Grammar Girl book. It looks very informative and enjoyable. Obviously, I need to read it because just from scanning the information I realize I’m a writing disaster. Besides my love affair with the comma, I use fragments and improper punctuation, etc. etc. I will study the book and try to write better– I promise (I also overuse the “dash,” which I shouldn’t be typing with the hyphen key either). I would like to win the lottery. However, I did not buy a ticket. I would like to win the lottery, however, I did not buy a ticket. To me, the first option makes more sense. The second option seems like a run-on. However hard I tried, I could not win the lottery. I would like to win the lottery; however, I did not buy a ticket. The lottery, however, is difficult to win. So in this Boss Battle, I guess we are both right, depending on the sentence. (By the way, starting a sentence with “so” is also a no-no and I do it CONSTANTLY. How do you people even stand to read my horrendous writing? Ugh!). Just thought I’d share; however, I realize you are all excellent writers. Okay. so. You have a point. But I mean seriously. Language is so limiting. To think that we have to obey rules of grammar? Impossible. However, we should all probably try a little harder. Agreed. I am going to try, I guess. At least until I get bored with it. (Starting a sentence with “at” may be wrong- sorry)! Good grammar rocks, except when it doesn’t. I think MotherJam said it quite well (doesn’t she always?). Using good grammar keeps you from looking stupid. 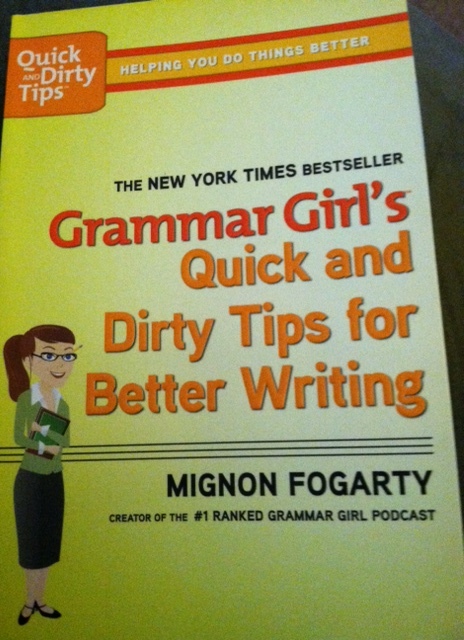 Purposeful use of imperfect grammar makes you an interesting writer. Besides, it’s fun! Rats! No creative grammar errors here. Another point for MotherJam! And, of course, Jess, who can comma-pulate a sentence better than anyone — she’s that good, really. I’ll have to check out that book too; however😊, I don’t think I’ll look at “however” the same way ever again. I learned how to use the semi-colon before “however” followed by a comma. Maybe “but” could replace however. Sorry for my rambling on…. It’s confusing. I am going to try to step it up, but I lose patience and interest in grammar pretty easily! I truly have always loved grammar. The shame of it is it seems to be going the way of the dodo bird. I am not nearly as astute as I used to be. You can borrow my books if you want to brush up! What about starting a sentence with “but”? Grammatically correct writing is very essential otherwise meaning of sentence is changed or non-understandable.